Korean winter sports have fallen into neglect and scandal just a year after the Winter Olympics in Pyeongchang, which was supposed to give them a huge boost. For the Olympics more than a dozen of foreign athletes acquired Korean citizenship, but most of them have now left the country to find better opportunities. Medal achievements in formerly unpopular disciplines like bobsledding, curling, skeleton racing and snowboarding all seem to have been forgotten as the cheers have made way for disinterest and apathy and few still sponsor the sports. Corruption and conflict have also been exposed, disenchanting many fans. In November last year, the women's curling team, who won a silver medal at Pyeongchang, accused their coaches and a former vice president of the Korea Curling Foundation of verbal abuse and unfair treatment, leading to a government audit and sacking of the coaches. Short-track skating was rocked by a scandal surrounding physical and sexual abuse by coaches, dampening the sport Korea has traditionally dominated. Of the 15 foreign athletes who represented Korea after getting naturalized, only six remain. 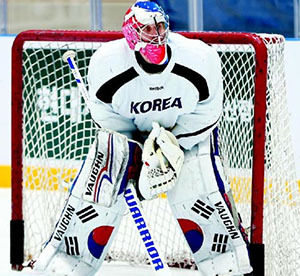 Three from the Korean women's ice hockey team including Randi Heesoo Griffin (31) left for the U.S. for study. The team had been rattled by the sudden announcement of a unified inter-Korean squad. Biathlon competitor Ekaterina Avvakumova (29), originally from Russia, could not adapt to life in Korea and is reportedly looking for another national team to join. And in figure skating, Min Yu-ra and Alexander Gamelin (26) split up in July last year over a row over donated funds and training issues. A sports insider said, "Naturalized athletes helped promote winter sports and produced good results at the Pyeongchang Olympics, but other countries are also active in getting naturalized athletes for winter sports, and the government must work harder to foster them and other talents with requisite support and management."